These are some of the computers that were available at my school, belonged to friends or at some point in where mine when I was a teenager. Since they had some impact in my life I think it's nice to display them here, chronologically. 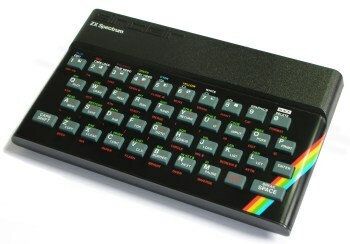 The ZX Spectrum 48K. Very nice to play games from tape and to learn how to program in BASIC. 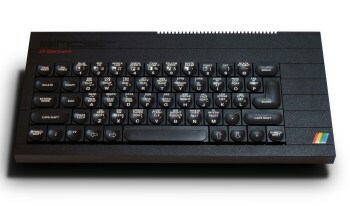 The ZX Spectrum 48K Plus. Like the previous computer, internally they are the same but the Plus has a much better keyboard. 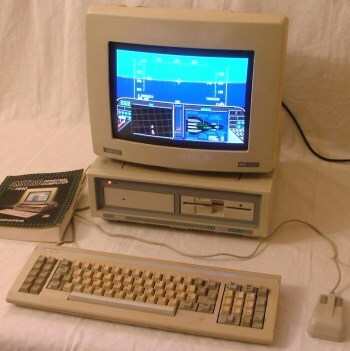 I own one with an issue 6 motherboard, along with a Seikosha GP-50S printer and a Kempston adapter and Joystick 125. ZX Spectrum 128K +2 original gray model. Belonged to a friend who sadly got rid of it before I had a chance to repair it. 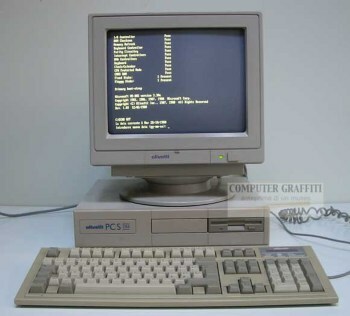 Amstrad PC1512 with two floppy drives and mouse. These were available at my school but were only accessible to some students, depending on their school year. Amstrad PC1640 with HDD and mouse. Same limited access as the model 1512. The IBM PS/2 Model 30 286. I have this nice computer that includes 3 ISA expansions ports and the original ESDI 40MB hard drive. I also have a TN5250 emulation 8 bit ISA board that connected the computer to the X.25 network between offices. 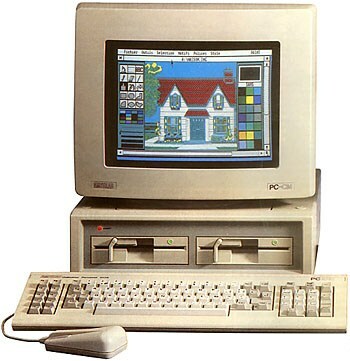 The Olivetti PCS 286 with 1MB RAM. 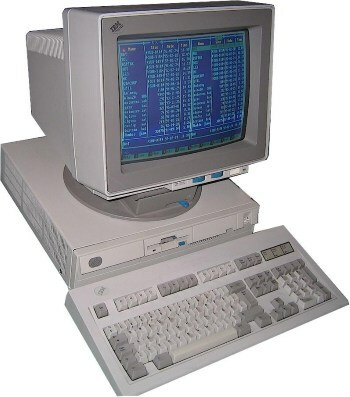 This one was available at my school and was being used to teach computer programming in Turbo C to secondary school students. 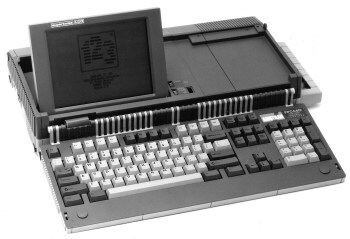 They were networked using Novell Netware and the server was an Olivetti M380. 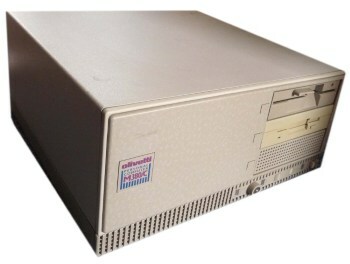 The Olivetti M380 (Netware network server for all PCS 286). 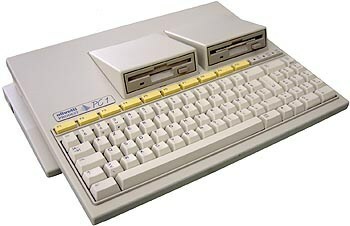 The cute Olivetti PC1 Prodest with two floppy drives and mouse. Available at my school for special courses and not included in the regular school activities. 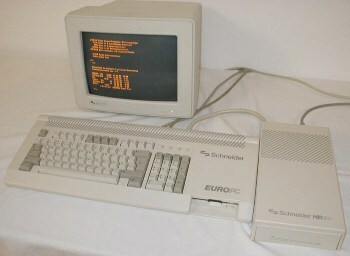 And finally the Schneider Euro PC with external hard drive. This computer was available at my father's work for a few months, replacing an IBM PS/2 that was returned for repairs. It was really small, cute and slow! All computer pictures in this page are not mine, unfortunately, because I still do not own each one of them. They were found online using Google Image Search.